St Mochta was a disciple of St Patrick, who established a monastery in Louth around 528. There are no physical remains from the early monastery. 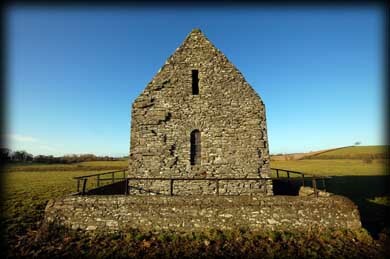 The ruined buildings at the site today are the 13th century church of St Mary's Augustinian Priory and the stone roofed oratory known as St Mochta's House, which probably dates to the second half of the 12th century. This heavily restored building stands in a field about 60 metres west of the Priory. It is a rectangular building with a barrel vault over the lower storey. Sadly by 20th century the building had fallen into ruin. Luckily the OPW took over guardianship and St Mochta's was declared a national monument. In 1934 extensive restoration work was carried out on the building. 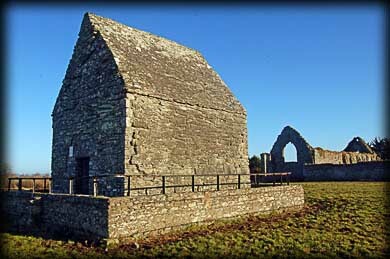 There are numerous stone buildings throughout Ireland named as Saint's houses. St Declan's House in Ardmore, St Molaise's House on Devenish Island, St Colomb's House in Kells and Teach Molaise on Inishmurray to name a few. Most of these buildings are believed to either contain the Saint's grave or display the relics of the Saint. We also know that the relics of St Mochta were brought from Rome to St Mary's Priory in Louth during the early 13th century. 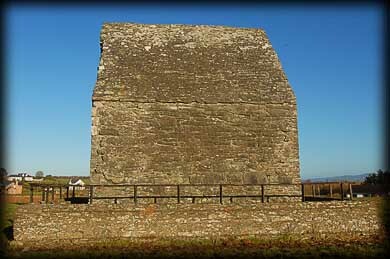 Was St Mochta's oratory built for the purpose of displaying or housing these relics ? Situated: Very easy. 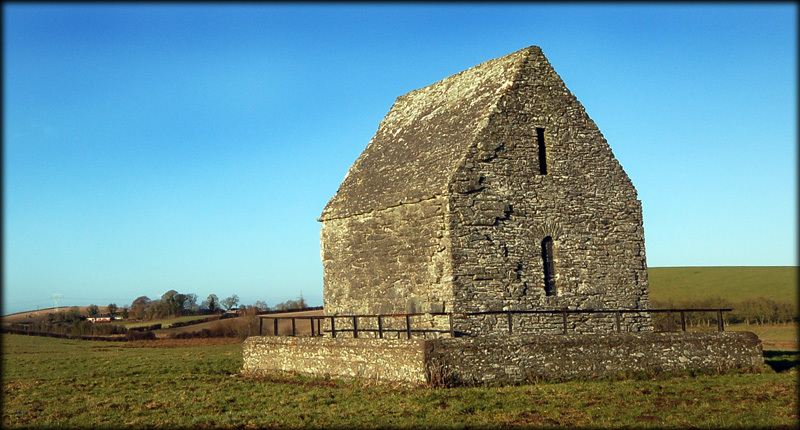 St Mochta's house is located in a field west of St Mary's Priory in the centre of Louth village. As you approach the Abbey there is a gate into the field on your left. On the gate is a beware of the Bull sign. Please ask the farmer before entering the field. Discovery Map 36: H 9548 0144. Last visit Jan 2011.